Helsinki is the ‘hometown’ for Loudspring — the majority of our team comes from there; our head office has been located there since the very beginning of Cleantech Invest; and many of our portfolio companies call Helsinki home too. We have always been proud to call Helsinki home despite our expansion in the Nordics and further abroad. We are even more proud to call it home when our companies work on projects in the city itself. Last week, Nuuka signed a contract with the City of Helsinki to implement an energy and smart building management system for the city’s approximately 1000 buildings. The energy and smart building management system that Nuuka is delivering to the City of Helsinki will include energy reporting, indoor air quality and HVAC process performance analytics. Nuuka will also provide HVAC and indoor air quality monitoring for 150 buildings, providing more extensive analysis of the buildings’ indoor air and process performance. The signing of this contract with the City of Helsinki is a signal that the City is serious about its intent to become the best digitalisation city in the world. Jan Vapaavuori, the Mayor of Helsinki, published a blog recently that goes into more detail about why the City is going all in on becoming a ‘smart city’, even hiring a ‘digitalization director’ and beginning training on AI and the use of algorithms for decision making. I couldn’t agree more with these sentiments — Helsinki has always been ahead of the curve with its embrace of cleantech and smart solutions to urban mobility and infrastructure, and now it is embracing ‘big data’ and digitalisation to take things to the next level. Today, cities consume over 60% of the world’s energy and create over 70% of global CO2 emissions. Digitalisation of the built environment isn’t just a trendy thing to talk about anymore. My colleague Antonio Gallizio and I wrote last year about how some buildings have created the appearance of becoming ‘smarter’ over the past few decades through the addition of ‘clever devices’ such as remote-controlled heating units and intelligently-connected coffee brewers, but that the outcome of such ad hoc technologies, or ‘point solutions’ has not been the rise of the ‘smart home’ or ‘smart building’ but instead the creation of ‘dumb buildings with smart features’. 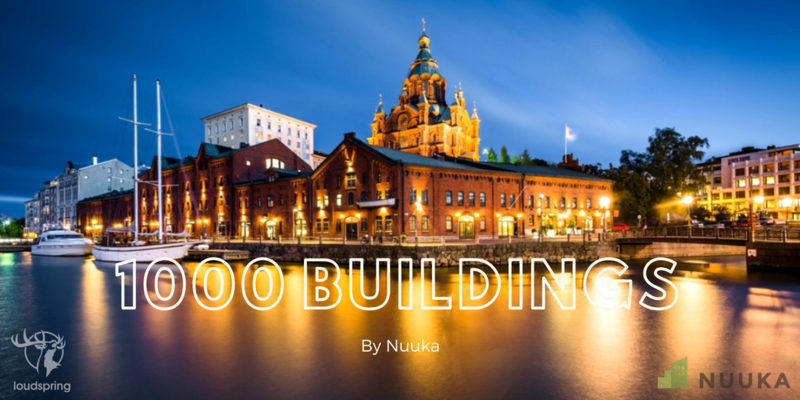 This superficial approach to digitialization of buildings is no longer the norm, particularly when a city like Helsinki decides to roll out an energy and smart building management system with Nuuka. Gimmicks and gadgets won’t do if we want our cities to emit less carbon and see human productivity rise. What Antonio and I essentially wrote about was that the cities of the world really need ‘genuinely’ smart buildings, because gimmicks and gadgets won’t do if we want our cities to emit less carbon and see human productivity rise. With urban growth showing no signs of slowing down, cities will continue to be huge consumers of energy and a significant source of global carbon emissions. Today, cities consume over 60% of the world’s energy and create over 70% of global CO2 emissions. The City of Helsinki has put its money where its mouth is with this new contract with Nuuka, as it very much puts them on track to create a platform and be the enabler of smart solutions for the needs of Helsinki residents. In his article, Jan Vapaavuori also spoke about the need for smart city experiments, investing more in the start-up community, developing mobile applications for mobile people, residents employees and travelers, as well as enabling more e-business opportunities in Helsinki. All of this sounds genuinely smart to me too.